Can being an atheist make you a better Christian? How are people reacting to Atheist TV, which launched last Tuesday? 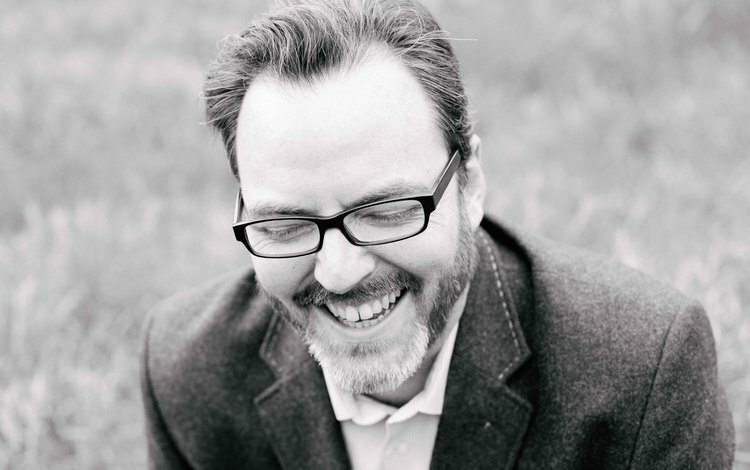 Last week, Relevant published a short article by Mike McHargue, which chronicled his theological journey. Their divorce sent me on a quest to know the Bible better so that I could share God’s position on divorce with authority. I read the Bible four times in one year looking for answers. All I found was more questions. . . . One day I said this during prayer: “God, I don’t know why I’m praying. You aren’t even real.” Just like that, I was an atheist, and I spent the next two years living a lie. Even though I didn’t believe in any god, God reached out to me standing on the shore of the Pacific Ocean. In that moment, reality seemed like a veil that was stretched taught. I could make out the glory of God on the other side, and it moved me. I felt connected to God, and through God to all my fellow humanity. It was beautiful, and it changed my life forever. Mike then highlighted three ways his experience as an atheist has improved his Christianity. I was a Southern Baptist. Really. I was an atheist and humanist. Really. I am a science-minded, mystical Christian now. My ideas about God are unconventional, but I really do believe again. McHargue’s journey to a humbler and more Christ-centered faith is worth reading. I love his insistence that we can learn something from everyone. I also like his realization about unanswered theological questions: they don’t have to cause a crisis of faith. I’ve learned this lesson the hard way in my own walk. To this day, I have plenty of questions about Christianity. Having serious questions doesn’t require leaving the faith, though. If you’re thinking about leaving, what worldview would you adopt in its place? Even though I have some unanswered questions, I still think Christianity has much more explanatory power than any other worldview. What do you think about McHargue’s story, or my analysis of it? Do you resonate with any parts of his journey? If Tuesday’s launch is a fair indication of where the channel is headed, secular humanists, agnostics, or even atheists who don’t align with “New Atheism” might not be “atheist enough” for the new channel. Nothing would make me happier than for science and reason to guide our cultural and political development. Reason is a wonderful thing. For American Atheists, and Atheist TV though, their dream also includes just as much intolerance, unwanted “guidance,” and cult of personality as any religion I’ve ever seen. The hardest thing to do is taking that first step. There’s never a shortage of critics with strong opinions. What we don’t have are enough people with the vision and willingness to actually get things done. I love that AA took this chance, even if everything isn’t perfect. If you want to check out Atheist TV for yourself, you can watch it live on American Atheists’s website. What do you think about Atheist TV? This video is short, informative, and worth watching. I also love that the music sounds like it belongs in a Steven Soderbergh film. Did this video teach you anything new? The Bible Project released a new video last week. Their mission is to create short animated videos that summarize biblical books and concepts. Check out their video for Genesis 12-50! This series is definitely worth keeping an eye on. It is interesting that McHargue’s transitional experiences were juxtapose with emotional ones (i.e. his folk’s divorce, existential experiences invoked by the beauty of nature). I think both science and religion have a lot to say on how emotional experiences effect (and at times, circumvent) the logic one brings to the decision/belief-making process. Should knowing how our emotions effect our decision/belief-making process have any bearing when considering the validity or “Truth” of such decision/belief-making outcomes? This question touches a bit on Gilbert & Wilson’s study on “Miswanting.” It’s available in PDF form here. Thanks for the article. It was interesting reading about the complicated relationship between what we think we want and what we actually like. In what way do you think the article is relevant to McHargue’s story?